New live in-studio album available now! Erika Lundahl is a musician, writer and activist based in Seattle, WA. She employs her classically trained voice and distinctive "tapping" guitar style to create an enveloping, atmospheric musical space. Heart forward, her original lyrics weave in wisdom and words of women poets of past eras such as Sappho and Edna St. Vincent Millay, addressing contemporary social and environmental issues with poignant and powerful imagery. 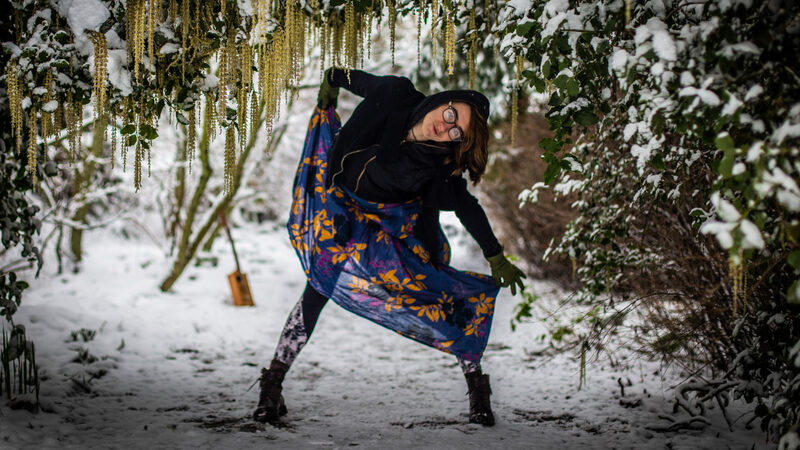 Originally from the Willamette Valley of Oregon, Erika began to perform in earnest in upstate New York in 2012 with her band Animals of Grace. She returned to the tall trees and rugged wilderness of the Pacific Northwest in late 2013. Her band's debut album “Songs of Shattering,” released in 2015 on Rolling Crone Records was inspired by the poetry of Edna St. Millay and made it's debut onto CMJ's top 200 albums of college radio in March 2016. Erika's 2016 EP 'Brambles' (released under the band Animals of Grace) is the compilation of 7 songs “of pilgrimage, climate change, and the wielding and waking of love for the Earth, each other, and all the hard lessons we haven’t learned yet,” says Lundahl, the lyricist and guitarist for the duo. Inspired by traveling to the tar sands or Alberta, Canada in 2015 - the third largest reserve of crude oil in the world - and by events like the Mosier oil spill in Oregon and the powerful Break Free protests in 2016, this beautiful compilation of songs is an introspective gaze into the heart and a search for the resiliency and love we need to come together. Her recent live album Aim for the Center exhibits the moving storytelling and talented performance that Erika is known for. NEW! Erika is now on Patreon, creating music for change, and sharing more of her artistic process. Check out her page, and if you feel moved, join the community!